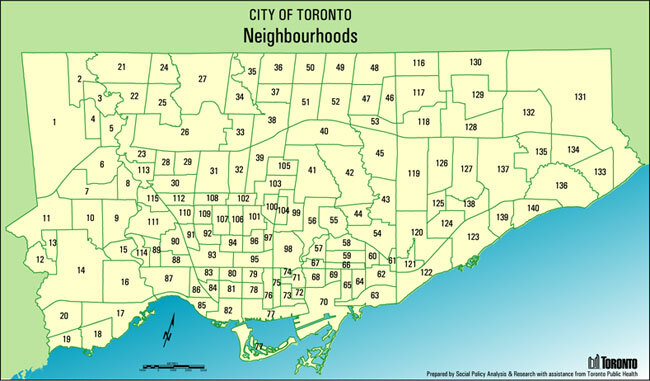 Toronto is made up of 44 Wards and 140 Neighbourhoods. These 3 maps will be of a great help in finding your way around the Greater Toronto Area (GTA). The first 2 maps are from the City of Toronto website. The last map is a real estate map of Toronto neighbourhoods with lots of useful information!